The composition of 101-5 includes a single, fully opened rose flower. 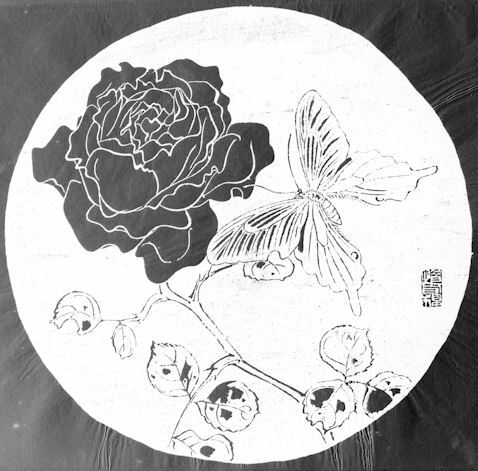 The flower is shown silhouetted with internal lines - essentially a line drawing with the solid background darkened out. However, the leaves are mostly simple line drawings on that background. The execution of the design is unusual in that the spangle butterfly is depicted in its natural colors whereas the rest of the design is meant to be negative-reversed. This design and a few others suggest that Rakusan initially struggled with the ishizuri technique. Spangle (a kind of black swallowtail butterfly), Papilio protenor, 黒揚羽, くろあげは, クロアゲハ, kuro-ageha, (lit. 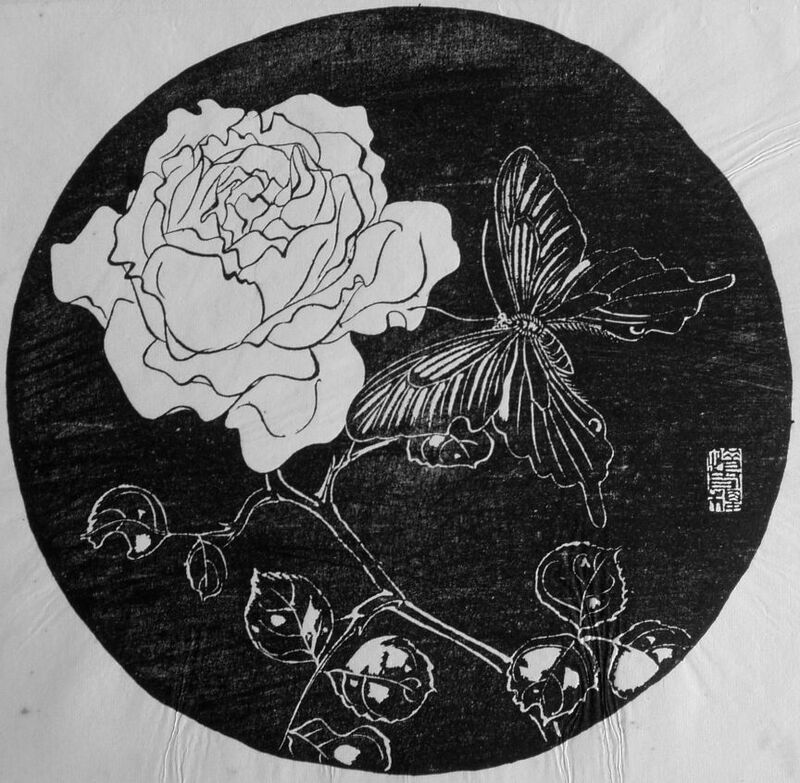 black-swallowtail), is one of several kinds of swallowtail butterflies found in Rakusan's artworks. However, this is his only depiction of this particular species.